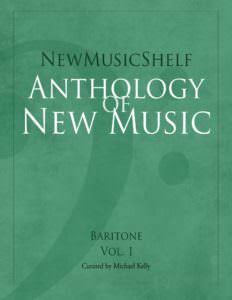 Baritone Michael Kelly and pianist Kathleen Kelly perform the 20 songs collected in the NewMusicShelf Anthology of New Music: Baritone, Vol. 1. Featuring art songs by: Victoria Bond, Martin Bussey, D. Edward Davis, Daniel Felsenfeld, Cara Haxo, Chia-Yu Hsu, David Leisner, Carrie Magin, Allen McCullough, Ryan Molloy, Ben Moore, Gabrielle Owens, Paul Salerni, Harry Stafylakis, Margret Tesch-Muller, Craig Urquhart, Mark Weiser, Philip Wharton, Scott Wheeler, and David Wolfson. This past season, Mr. Kelly made his Carnegie Hall debut in a new oratorio by Mohammed Fairouz, and performed Schubert’s Die Schöne Müllerin with celebrated guitarist David Leisner at New York’s Symphony Space. He also performed the role of Figaro in Barber of Seville, Brahms’ Ein Deutsches Requiem, and the NY premier of Carlyle Floyd’s newest opera Prince of Players. Recently Michael debuted with the Houston Symphony and Theatre du Chatelet, as well as performing recitals at New York’s Neue Galerie, The Baryshnikov Arts Center and in Ann Arbor, Michigan. He was heard at The Kennedy Center, Boston’s Schubert Theater, and at the National Opera Center. He has performed world premiers by Matthew Aucoin, David Del Tredici, Mohammed Fairouz, and Ben Moore. An avid and passionate recital and chamber music interpreter, he can be found on recordings of Fairouz’s Zabur, Del Tredici’s A Field Manual, and a soon-to-be released documentary celebrating the life and music of David Del Tredici. Captivating audiences with his “exquisitely self-effacing” artistry, Mr. Kelly is a versatile and innovative vocalist, having performed with many of America’s leading orchestras and opera companies, including: The Cleveland Orchestra, Detroit Symphony, Houston Symphony, Saint Paul Chamber Orchestra, The Mostly Mozart Festival, Opernhaus Zurich, Chicago Opera Theater, Gotham Chamber Opera, Mark Morris Dance Group, Boston Early Music Festival and Ars Lyrica. His repertoire ranges from the baroque to modern, leading him to collaborate with some of today’s most exciting composers, including Tom Cipullo, David Del Tredici, Mohammed Fairouz, Ricky Ian Gordon, Libby Larsen, Lowell Lieberman, Ben Moore, Reinaldo Moya, John Musto, and David Sisco. He made his European debut with Opernhaus Zürich in Handel’s Rinaldo with William Christie and has performed in opera, chamber and symphonic works under the batons of such conductors as Herbert Blomstedt, Michael Christie, Andreas Delfs, Jane Glover, Benton Hess, James Levine, Anne Manson, Nicholas McGegan, Steven Osgood, Leonard Slatkin, and Stephen Stubbs. 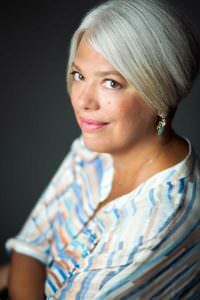 Michael has also collaborated in recital with celebrated pianists Martin Katz, Kathleen Kelly, Malcolm Martineau, Spencer Myer, Jonathan Ware and Brian Zeger. Mr. Kelly has won prizes in several prominent competitions, including first prizes in 2013’s Poulenc Competition and 2011’s Joy in Singing. 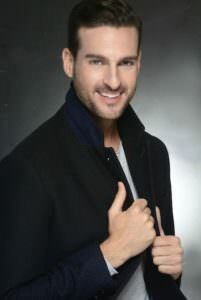 He is a graduate of the Eastman School of Music and Juilliard, and was a member of the Opernstudio at Opernhaus Zurich. Michael is also artist director of SongFusion, a recital series based in Manhattan.